Increased trust and credibility in the hearts and minds of your followers – It's a cliché, but true, that people buy from those they know, like and trust. Blogging, done correctly, can give readers the perception that you are likeable, honest, and an expert in your field. Top of mind awareness (TOMA) – Your prospects may be aware of your services or products but may not yet be ready to buy. A blog can help keep you in the forefront of their minds, so that when they are ready to buy, they think of you first. Website traffic – One of the cornerstone philosophies of your online marketing needs to be driving traffic to your website. A high-traffic blog, attached to your website, is a great tool for increasing traffic to other parts of your site. Now you may be saying to yourself, “blogging sounds like a great way to build my business, but there has to be a catch!”. Honestly, there is one: blogging is hard work; it takes time, and you need a steady stream of solid ideas that will appeal to your audience. So today, let's talk about how you can generate those ideas. If you are going to write about topics that will appeal to your audience, you need to understand your audience intimately. You need to get a handle on what their fears, hopes and dreams are. You need to be aware of what problems they are struggling with – the problems you can solve for them. So before you start selecting blog topics and doing the work of writing content that will likely appeal to your audience, take the time to understand your audience, or if you don't have a big audience yet, the audience you want to appeal to. Read up on customer personas to help you get a better understanding of buyer psychology. 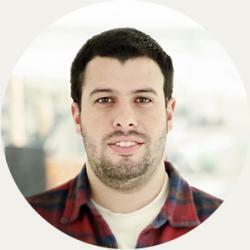 Build a detailed profile about your customer/audience. Do some detective work. Hang out in the online forums your audience frequents. Read the online and offline publications they read. Network with them in person. Ask questions about what they want and need and LISTEN to their answers! Understanding your audience very well will help you tremendously as you seek to write the blog content that will appeal to them. What are the potential benefits for you? For starters, your blog readership may grow by leaps and bounds, and soon, you just might have more interest in your business than you can handle! Let's say you already have an established blog audience and they have opted into your email list. Want to get new ideas to write about – ideas that will lead to blog content your audience will eagerly devour? Ask them what they want you to write about! Run an online survey. There are free or inexpensive survey tools you can use. Here's one that's popular (note – this is not an endorsement or an affiliate link). Bill Glazer is a direct response marketing genius. And he recommends an unusual method for collecting ideas for making your marketing more persuasive and profitable. This unusual method is called “swipe and deploy”. It means you observe what other marketers and companies do and apply the same ideas and concepts to what you are doing. It DOES NOT mean you directly copy or plagiarize another blogger or marketer. The swipe and deploy concept applies to far more in content marketing than just blogging, but you can use it very effectively in your search for blog content ideas. How? Take a look at what the popular bloggers in your niche, the “heavy hitters” with large followings, are doing. Look at the topics they've written about that you're confident will appeal to your audience. Pay close attention to the number of comments and social media shares these articles get. Next, take these same general topics and write original, compelling, unique blog article about them. Once again – “swipe and deploy” DOES NOT mean “directly copy and plagiarize”! Another way to load up on great ideas to write about is by reading, in addition to the biggest blogs in your niche, the comments they receive. They will often boost your creativity and give you direct clues regarding what your audience wants to learn more about. As you write and your “creative juices are flowing”, not only will you be producing some great blog content, you may very well experience “flashes of insight” on additional topics to write about. For example, let's say you are writing an article on effective email marketing. Your Great Idea – Part Two! The creative process is an amazing thing. As you write and the ideas flow, more ideas often appear that you had not thought of before. You may find out that the topic you are writing on is just too broad for a single article. That's great for you and your audience! You have more material to write another great article, and your readers will benefit from even more of your great content! If you have enough material on a particular topic, you could even write a content series. We've done this on our blog here at Lander. Check out our “Inbound Marketing 101” and “SEM Guide ” series to see how we've approached blogging when we wrote on topics too big for one article. So what does this article have to do with landing pages? Glad you asked! 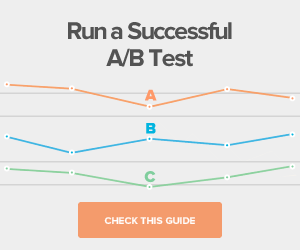 Landing pages and blogging go together like peanut butter and jelly! 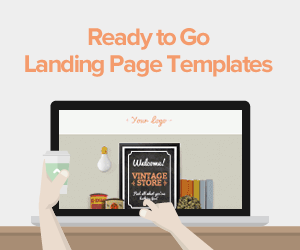 You can use landing pages very effectively in your campaign to build your blog subscriber list. Just like you would use a landing page to convert an e-commerce shopper into a buyer or to register attendees for your latest webinar, you can use landing pages to “sell” visitors to your website on subscribing to your blog. Your blog can also be a launching pad that helps you sell your products or services. Here's an example: let's say you are a physical fitness expert with a premium monthly membership site. You also have a blog. Not all of your blog readers are paid members of your premium site, and you want to grow your paid member base. You could post a blog entry with the goal of driving membership sales. You would attempt to persuade readers to click through to a landing page where your goal was to convert them from blog readers to paid site members. 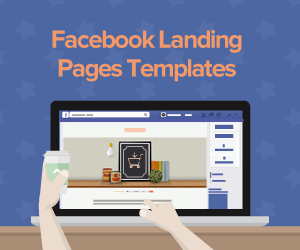 To do this as effectively as possible, in addition to persuasive copywriting and proper design, you would want to harness the power of a world-class landing page platform, one engineered to help you convert more visitors into buyers. 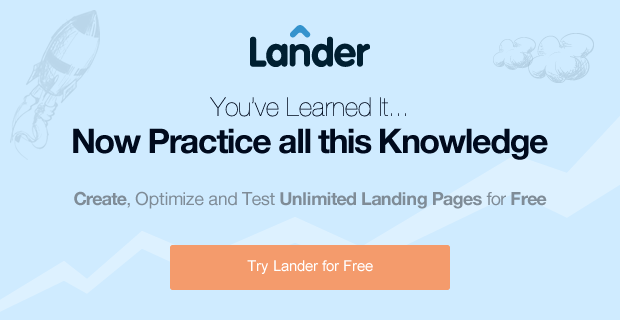 You would want Lander, the easiest-to-use landing page platform. And you wouldn't be alone. It seems like Lander is catching on like wildfire in the online marketing world. We have more than 25,000 users in over 132 countries around the world. 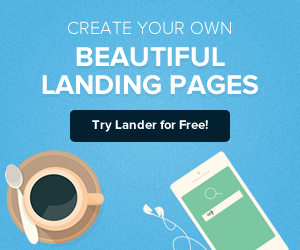 You will love how Lander is such a breeze to set up and manage; and here's something you just may love most about Lander: You can try any landing page template in the Lander platform for free! Any questions about how Lander can help you succeed in growing your blog or customer base? Contact us today. We have answers, and we'd love to visit with you!